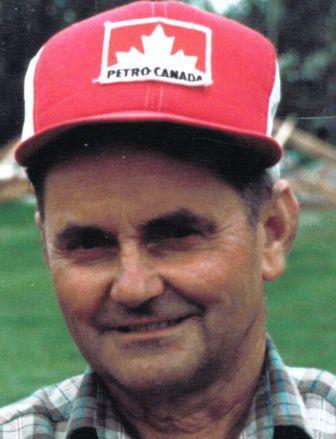 Peter Erickson passed away at Dr. Helmcken Memorial Hospital on January 6, 2017 at 91 years of age. Survived by his loving wife Margaret; son Doug Ukrainetz (children Jordan and Adam); son Len Ukrainetz (daughter Stephanie, grandchildren Natalie, Scarlet and Isabelia); daughter Joyce Ukrainetz Hystad (children Morgan, Jamie, grandchildren Ashton and Rocktyn); daughter Maureen Ukrainetz MacElheren (children Chelsey, Emma and Megan, grandchildren Jayden, Mya-Marie and Kaylin). Peter was predeceased by daughter Colleen Ukrainetz, who left behind children Moses, Mandie, Sunny and Kirk, and grandchildren Katarina and Betty-Ann. Peter was born in New Zealand but came to Canada many years ago. He and Margaret had many adventures together, including gold mining and gold panning in the Yukon. Both placed very highly in gold panning competitions, including the 1983 world championship in Tankavaara, Lapland. In his later years Peter enjoyed playing crib at the Royal Canadian Legion in Clearwater on Wednesdays, and carpet bowling on Mondays and Thursdays at the Senior Centre at Evergreen Acres. He will be greatly missed by many friends and by family. Donations in memory of Peter Erickson to the Dr. Helmcken Memorial Hospital Auxiliary would be appreciated. Margaret and family, So sorry to hear about Peter’s passing. I offer you my sincere condolences. Peter was a great friend. Lots of stories and memories from our Yukon days. Thinking of you margaret and family with love and prayers.